The complete food or the purna ann include the seeds, grains & legumes. 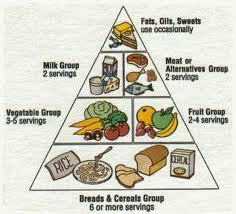 But the balanced food or balanced diet we have the entire range of food having all edible items. The supplements offered by the Medical world falling under foods, predigested foods, vitamins and minerals etc fall under the balanced food or the balanced diet. Our body needs principally Protein, Fat, Carbohydrates, Minerals,Vitamins, Enzymes, Water, Fiber and Calories. Hence the FOOD which has enough of these constituents sufficient for the needs of the body will be classed as Complete food or Purna Ann. The sprouts have the complete food in them. The Rejuvenating Food need explanation as follows: The food which helps the body in freeing itself from diseases, reoccurring sickness, premature infirmities, unnecessary weaknesses are termed as rejuvenating food. The natural tendency of the human body is that it follows five courses in its life.–That is -Birth, Infancy, Adulthood, Old age and Death. Decay usually sets in the body in old age and it shows itself in the form of various diseases, different kinds of infirmities and weaknesses.Such is the natural course, but in some cases weaknesses and diseases take hold of the body from the very birth or infancy or childhood or adulthood. It is here that rejuvenating food come it to picture.